Board your exclusive private helicopter, which seats up to 6 passengers. 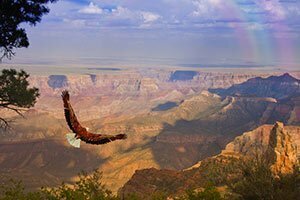 Depart the Grand Canyon just as the sun begins to set and experience the changing colors of the desert. Include a limousine pick-up from your hotel and a flight over the world famous Las Vegas Strip. 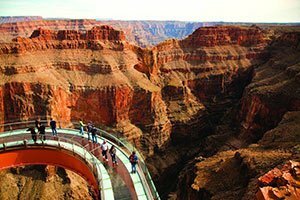 Enjoy breathtaking views from a glass bottom bridge suspended 70 feet from the rim of the Grand Canyon. Include a limousine pick-up from your hotel and a flight over the world-famous Las Vegas Strip. Include a limousine pick-up from your hotel and a flight over the Las Vegas Strip. 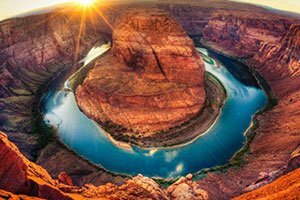 Land on the canyon floor and relax on a one mile boat trip on the majestic Colorado River. 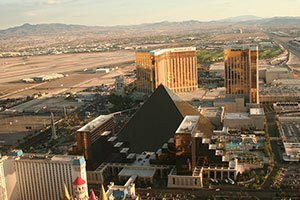 The Strip Highlights tour is a quick, easy way for guests to see the world renowned Las Vegas Strip and Downtown from the air. Include a hotel pick-up and drop off in a limousine with complimentary champagne served in the VIP air terminal. Include a hotel pick-up and drop off in a limousine and exclusive private helicopter, which seats up to 6 passengers. Experience Hoover Dam from two dramatic yet different perspectives: down in its depths to up in the air! Include the Hoover Dam in your helicopter tour along with viewing Lake Mead. See it all from the sky with this 20 mile tour around Lake Mead, Hoover Dam and Black Canyon. 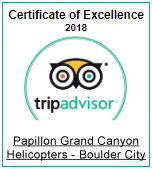 All of our Las Vegas area helicopter tours originate from our state-of-the-art air terminals, complete with roundtrip transportation from all major Las Vegas hotels. Safety, comfort and service are our top priorities, and we are proud to fly the most advanced tour helicopters available. Our EC130s were designed specifically for sightseeing, and provide forward-facing, theater-style seating with wraparound glass that offers unobstructed 180 degree views. 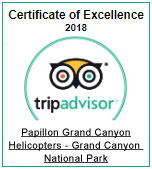 Our helicopter tours from Las Vegas include time-friendly air tours of Hoover Dam, Lake Mead and Grand Canyon West, as well as immersive canyon experiences with a canyon landing and champagne meal. 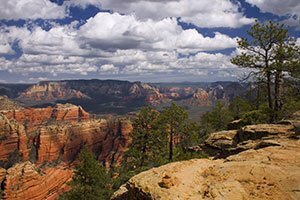 Certain helicopter tours afford ground time so guests may visit the stunning vista points around the west rim of the Grand Canyon, such as the world famous Skywalk experience. Your visit wouldn’t be complete without a helicopter flight over the dazzling Las Vegas Strip, available with tours that depart our VIP terminal located at McCarran Atlantic terminal near the heart of Las Vegas.